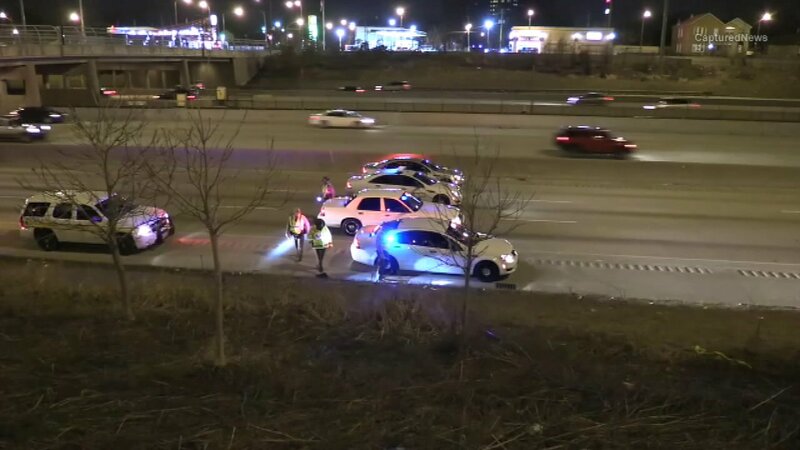 CHICAGO (WLS) -- A shooting shut down the Dan Ryan Expressway and left a man wounded late Saturday night, Illinois State Police said. The shooting occurred in the inbound lanes of the Dan Ryan near 43rd Street just after 10:30 p.m.
Police said the victim was a passenger in a car when someone pulled up and opened fire. The victim was wounded in the chest and is listed in stable condition at Stroger Hospital. State police shut down all inbound lanes between 47th Street and Pershing Road for about two hours overnight. The expressway has since reopened.